Vasu is a product leader with over 9 years of experience in B2C startups and business strategy. Previously, he lived in San Francisco and ran product at Delectable, a venture-backed wine technology startup. As a Director of Product at Zynga, Vasu led the pod that increased FarmVille's revenue 10x, created CastleVille's product management organization, and ran the entire company's Central Product team. 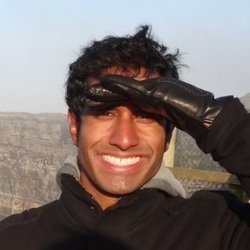 Vasu got his start as a consultant with Bain and a BA in economics from Harvard. Currently he advises startups on product strategy, process, and analytics.